Your DATA may be the most important of all. That's where we come in! We help you: "Discover the power of your data™" with reports, dashboards, and custom applications, protect your data with great backups solutions, nurture your data with maintenance plans. Our Chicago custom software development team will analyze your needs and come up with a reasonable quote for your project. We have worked with many industries from oil to insurance, allowing us to adapt quickly and understand your business needs. Our Chicago custom software development programmers are the best in the industry. We are one of the largest firms with the most Software MVPs on staff. We'll provide you with a custom software solution that not only fits you like your favorite chair but is affordable, scalable, and secure. We just don't build applications, we build business solutions. Call us today at 844.328.2636 for your free quote! We can help you “Discover the power of your data!”™. We are available for custom software development work in the U.S. and Worldwide. Juan Soto is available for speaking engagements on a wide range of Access and SQL Server topics. Call us with your questions anytime! We love making apps. Apps provide our clients with great value, can run anywhere, on any device, and increase productivity many times over as well as: + Inventory management and manufacturing + Accounts payable and receivables + Report generation applications + Marketing applications. 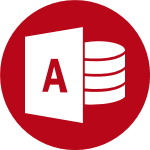 Microsoft Access Help and SQL Server Consulting are our specialties. 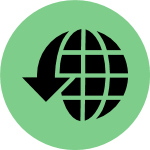 We provide our clients in the U.S. with professionally designed database(s) solutions. Clicking here will take you to our main Access website. We have a team of Chicago php developers and programmers that help businesses provide customers with a portal to check orders, invoices or run reports. Have something else in mind? We can create it! 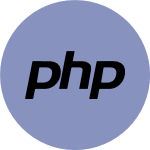 Our PHP applications are made for browsers as well as mobile devices connecting your business with your clients.